Apache Burger with Fries - so yummy! 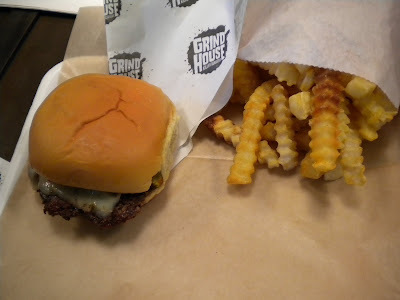 I finally had a chance to try Grindhouse Killer Burgers, located inside the Sweet Auburn Curb Market, with a colleague on a windy weekday downtown. I could not resist the peanut butter chocolate milkshake, which was so worth the calories. To me there's something about eating a burger and fries with a milkshake - I so seldom eat red meat, when I do, it's nice to have the whole package. I tried the Apache burger: house roasted green chiles, grilled onions and pepper-jack cheese - and I think I chose the best one. Wow. 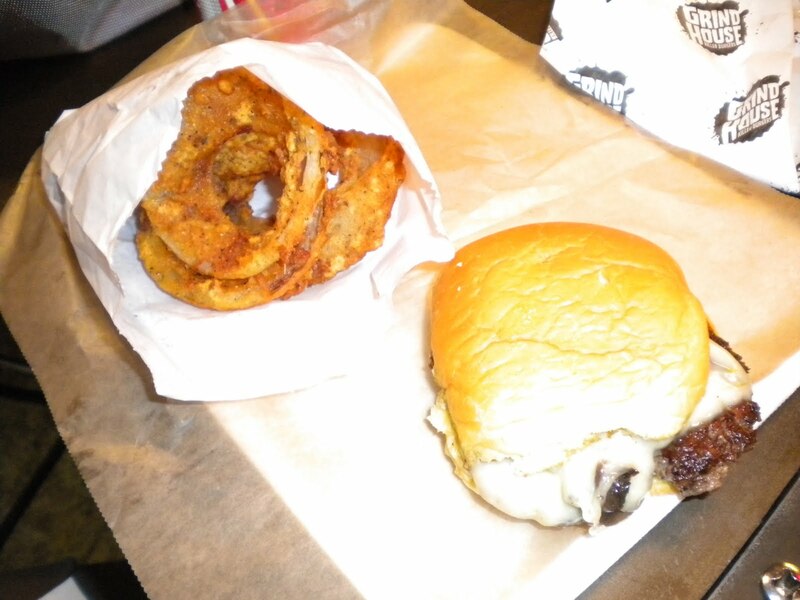 This burger is seriously tasty. I also feel nostalgic about crinkle cut fries and these did not disappoint. The onion rings were okay, but did not amaze me. Euro-Style Burger with Onion Rings. 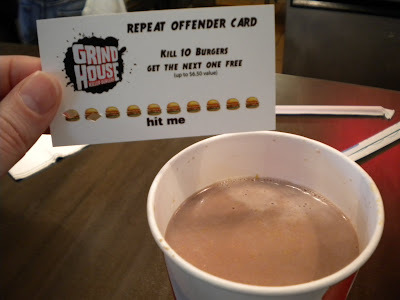 Frequent visitor card with peanut butter chocolate milkshake. 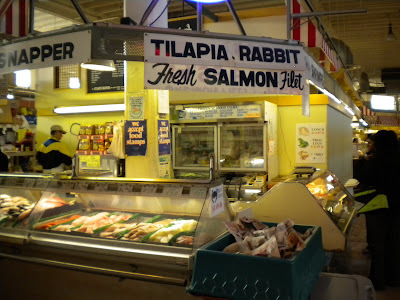 While we were waiting for our food - we did not have to wait long, but apparently the line is sometimes extremely long - I took a look around Sweet Auburn Curb Market. There are some unique food stands as well as retail shops inside. I saw a Jamaican place as well as cooked to order seafood that I'd like to try. I'm not so sure about using all parts of the pig, but if you need a pig's ear or knuckle, this is your place! 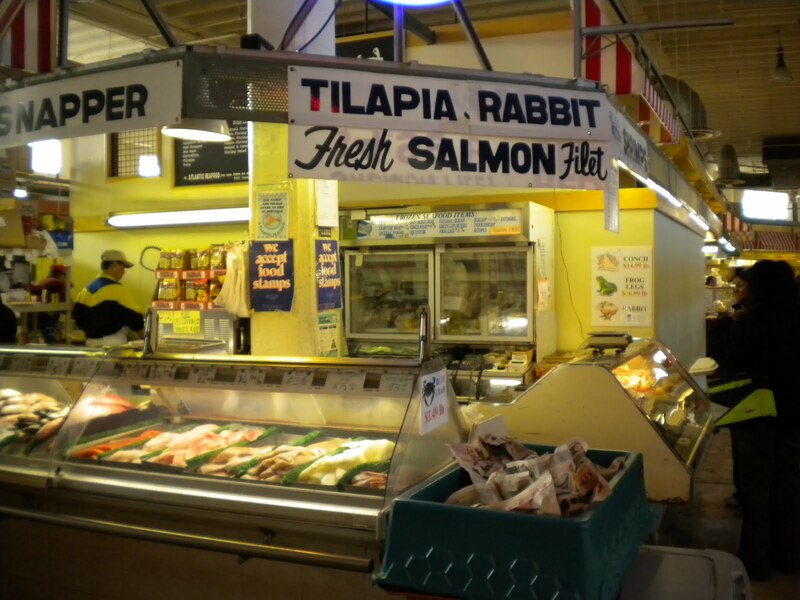 There are also produce stands and an organic stand selling eggs and cheeses. 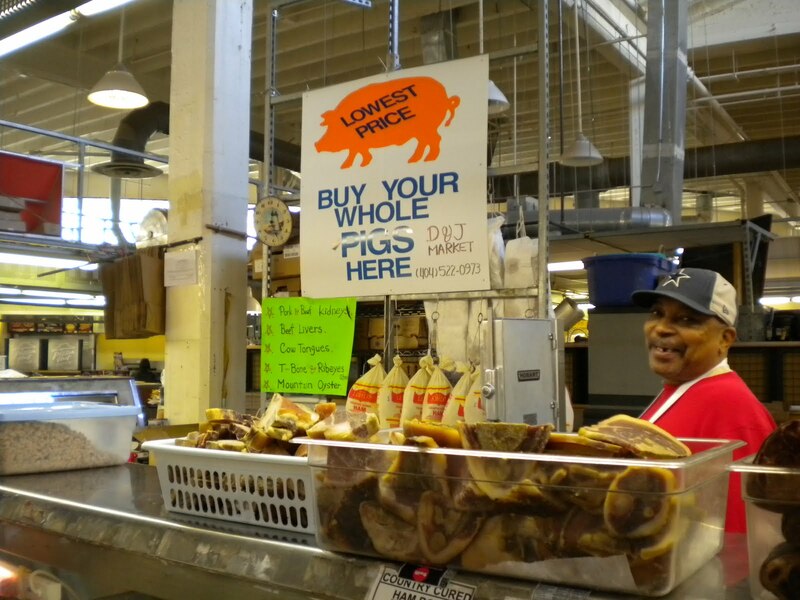 All parts of the pig sold here. 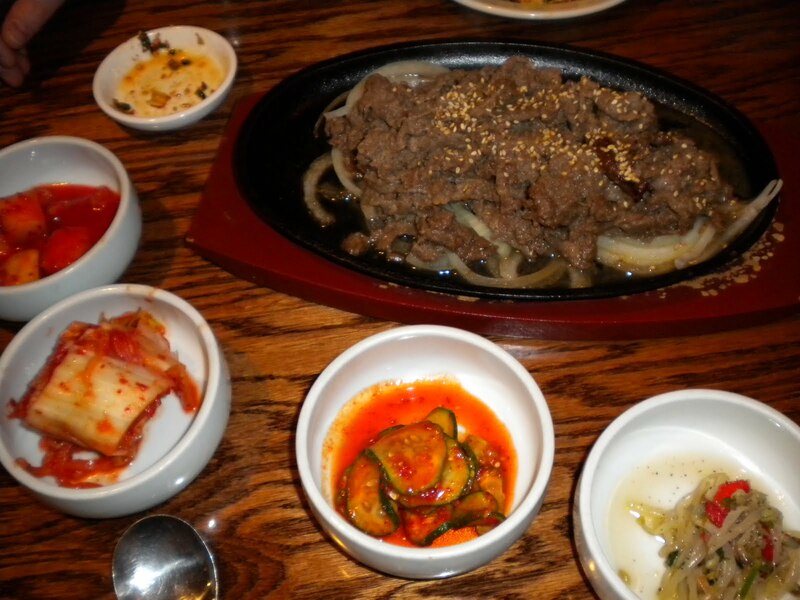 Beef bulgogi with banchan dishes. 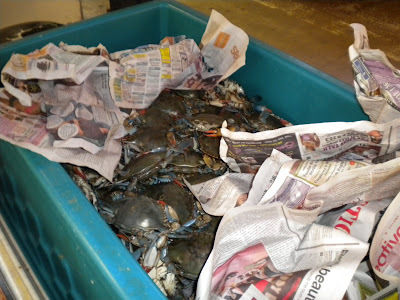 We met up with friends at this OTP Buford Highway gem on a rainy January evening. The signage here is a bit deceptive, but I've tried to help by calling the restaurant "Stone Bowl House - Woo Nam Jeong" instead of the other way around. When we visited only the English words were visible and all I had was a sheet of paper with "Woo Nam Jeong" scribbled on it with the address. Since the place is in a strip shopping center, this caused a bit of confusion. In any event, once we arrived, we ended up waiting for about 30 minutes for a table for 5. The restaurant had just been reviewed by the AJC (see their review here) so I think that explains part of the allure that weekend. 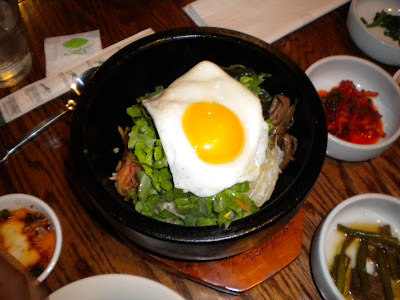 That and the place is really good - at least really good for non-Duluth Korean BBQ. Since I don't get out to Duluth much I was so glad to find this place. Also the atmosphere is quite nice, with several private rooms. We didn't opt for the 12 course menu bloggers have been raving about, but it looks like a real experience. I was very happy with the seafood pancake (not oily here and so fluffy) with delicious dipping sauce, the bulgogi - very tasty meat and the bi bim bap as well as the plentiful and fresh banchan (vegetable side dishes including many that are pickled). 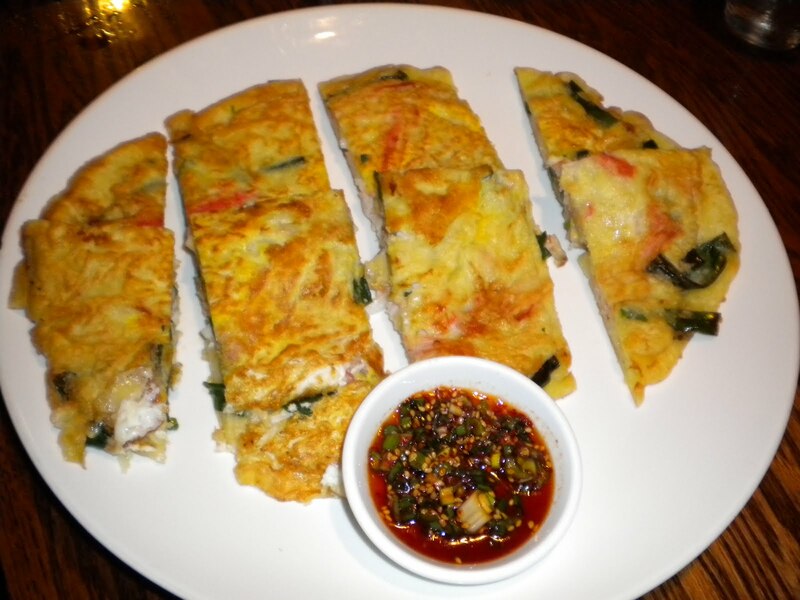 Seafood pancake with delicious dipping sauce - we want more sauce! Bi Bim Bap in hot stone bowl - the egg cooks as you mix it in the sizzling bowl. I look forward to returning to Woo Nam Jeong soon. They are reportedly open for lunch as well, offering good midday prices. 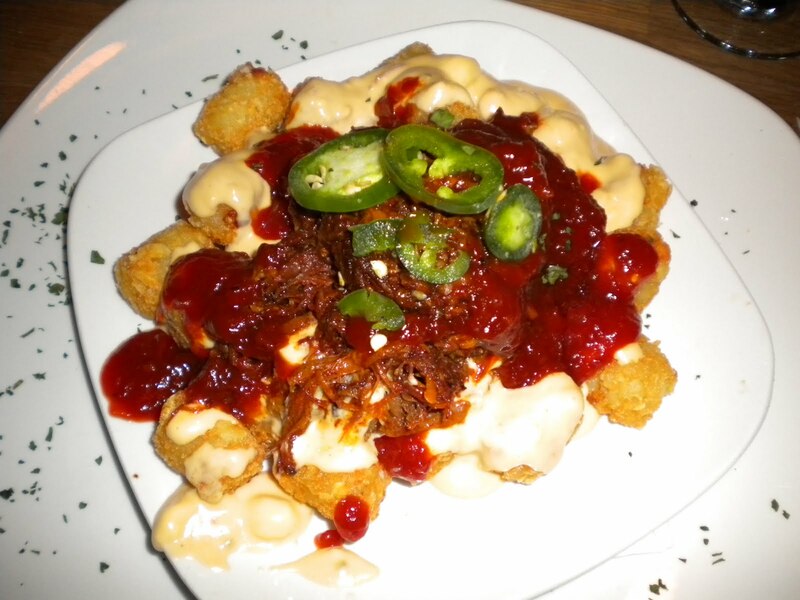 Trademarked Totcho's (tater tot nachos) - above is the Redneck variety: Mesquite smoked pork, barbecue sauce, jalapeno and cheese sauce. Very tasty, although I don't like thinking about the calorie count! 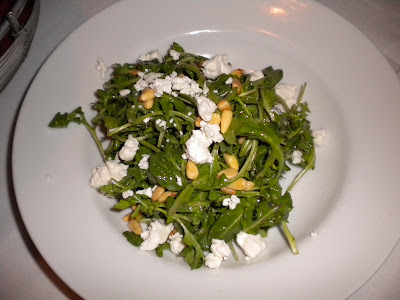 Back in January I was treated to food and drinks at The Nook, a pub near Piedmont Park. One of the owners, Adam Gajadharsingh, was there to greet us. I like the library-like feel and intimate booths as well as the bar that takes up one side of the restaurant. It was not too loud. Adam recommended the Totcho's (above) as well as the shrimp and grits. The totchos tasted great and they have five other varieties including black and blue and creole. A neat idea, and a crowd a definite crowd pleaser - who can resist the nostalgia of tater tots? And these are dressed up for adult tastes. I particularly liked the raw jalepeno slices on top. In fact, I liked them so much, I asked for more. Although my meal was complimentary, I noticed they added an additional charge on the check (I saw it even though I didn't pay it) for the extra jalepenos. This irks me. I hope they inform regular customers of this additional charge before adding it to the bill. 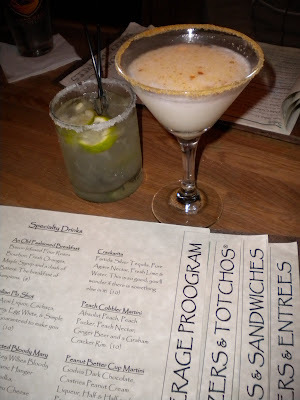 Crackarita and Peach Cobbler Martini with the extensive menu. The Nook has a varied drink menu including a good beer and cocktail selection. I tried the Peach Cobbler Martini - it was the graham cracker rim that tempted me - and it was tasty. The Crackarita wasn't as good, but still a noble effort. Calamari - the feta with this dish is a nice unique touch. I also enjoyed the chili sauce. 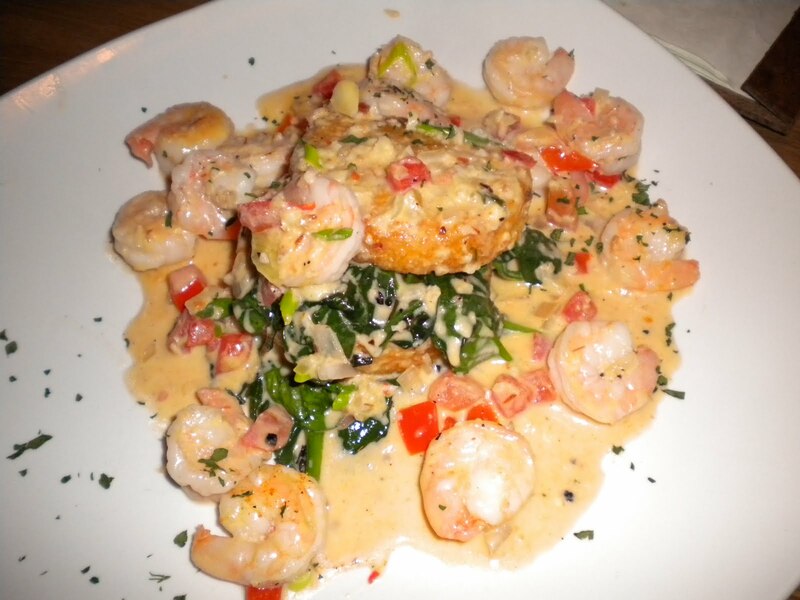 Shrimp & Grits: the dish Chef Michael Gogolin is known for; while the Gouda cheese cakes and spinach tasted great with the shrimp, the dish was a bit too salty for me overall. 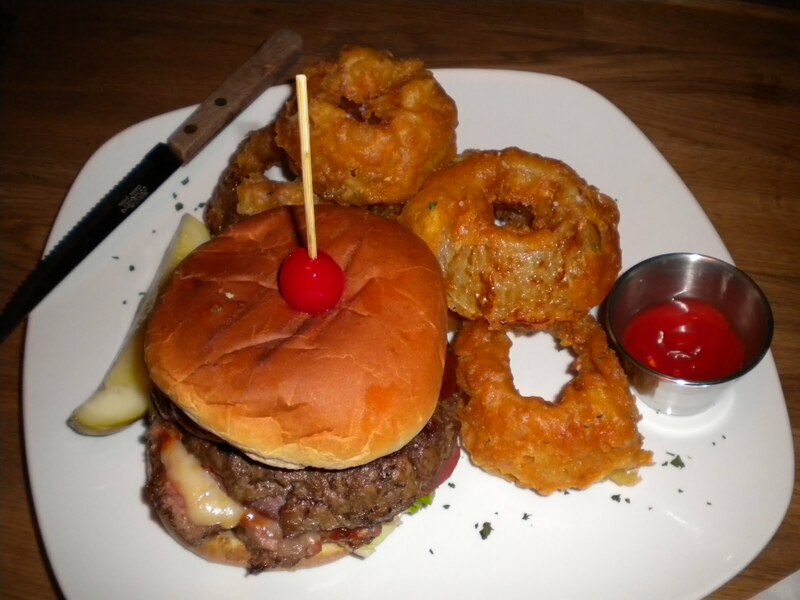 Special of the Night: Hawaiian Burger with onion rings. This burger tasted great. It was stuffed with cheese and had a pineapple slice on top. The onion rings were supposed to be tempura style, but the batter was much too thick and they tasted like regular onion rings. 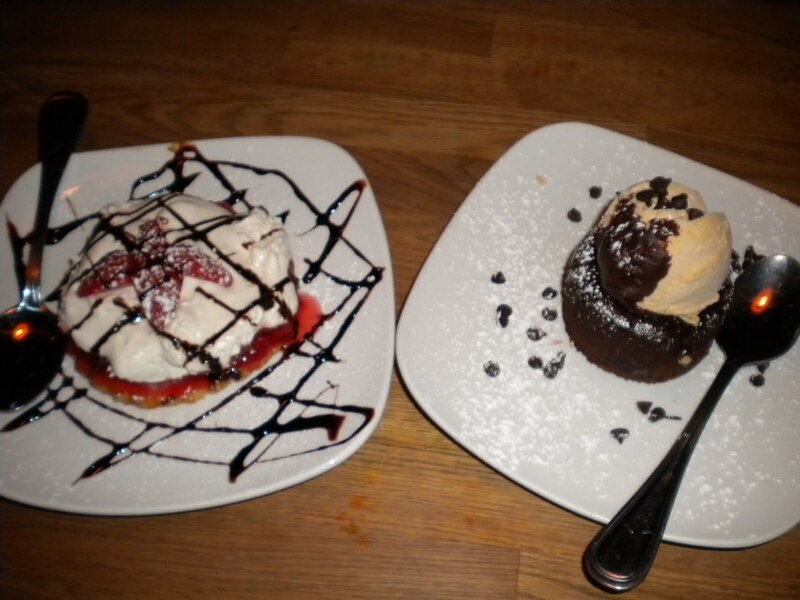 For Dessert: Strawberry Shortcake and Chocolate Lava Cake with a scoop of ice cream. The Nook is a neat addition to the Piedmont Park landscape - definitely a great place to come have a drink and nibbles after a visit to the park. 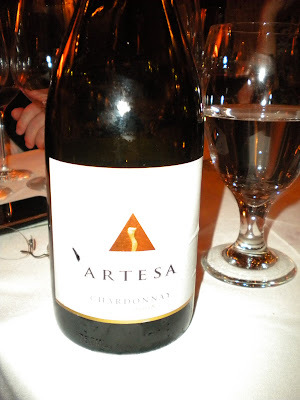 Back in January I was invited by Mark Beringer and Artesa Vineyards and Winery to a special dinner at Bone's Restaurant featuring wines from their Napa vineyard and winery. 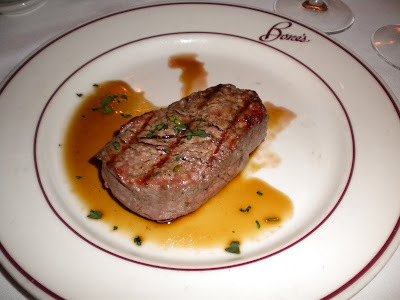 This was a great dinner, and an opportunity for me to try one of Atlanta's premier steakhouses while trying some fabulous wine I might never have otherwise known about. Mr. Beringer was there personally to tell us about the vineyard and to explain the details of each wine. We tasted a total of eight wines, two of which were quite outstanding. 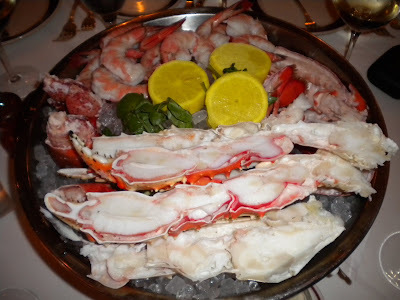 With the chilled seafood platter (outstanding crab legs and colossal shrimp!) we tried two chardonnays. The 2007 Estate Reserve paired beautifully with the seafood and was one of my favorite wines we tried. Menu - we ordered dessert too! 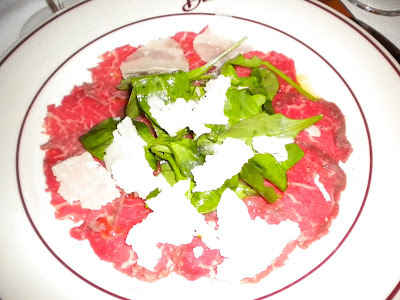 Next we had this tasty beef carpaccio with shaved Parmesan and greens; I lov the way the tastes and textures work together here. You can really tell the difference with the high quality Kobe beef. I believe this is on Bone's regular menu and I recommend it even for those who are not big fans of red meat. With the carpaccio we were treated to two kinds of Pinot Noir. At this point, I'm already getting a bit tipsy! Filet mignon, cooked rare - the way I like it! Entree choices were filet, NY strip steak or swordfish. I tried the filet even though I rarely eat steak - I figured, while at Bone's one must try the steak. It really was delicious and cooked rare to perfection. 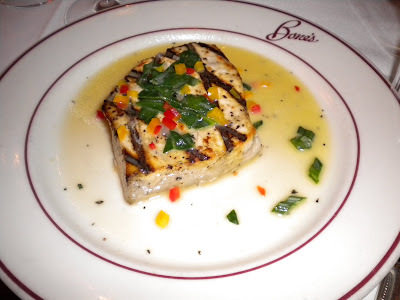 I tried a bite of the swordfish, which was also very tasty. 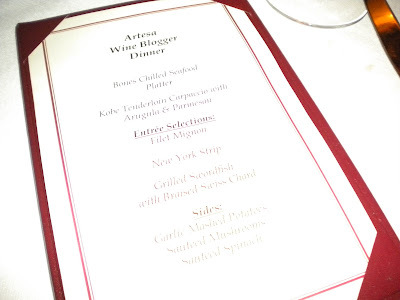 With our main courses we tried Artesa's two 2005 Cabernet Sauvignons. 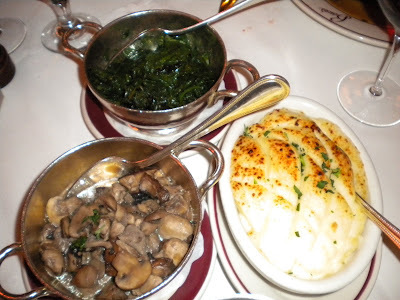 Side dishes - the mashed potatoes and mushrooms were fabulous. 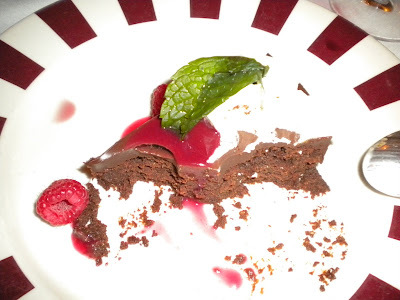 Dark Chocolate Torte - I forgot to take a photo until after we'd already dug in! 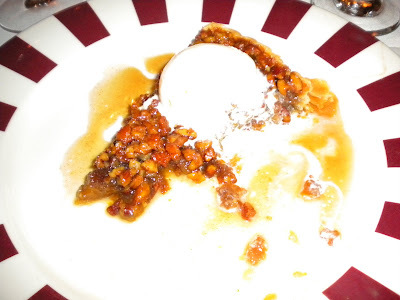 Although dessert was not on the provided menu, Mr. Beringer told us to order whatever we liked and most of us did! I tried bites of both the pecan pie with ice cream (my top choice) and the dark chocolate torte (very rich). To really end the meal with a bang, Mr. Beringer pulled out two Cabernets from other vineyards - the Lone Pine was excellent. 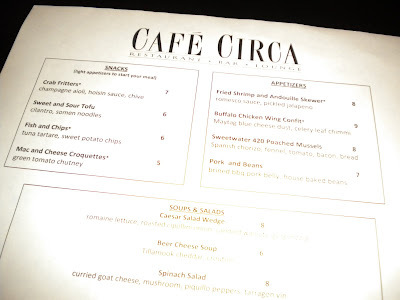 I recently visited Cafe Circa with my dinner group. 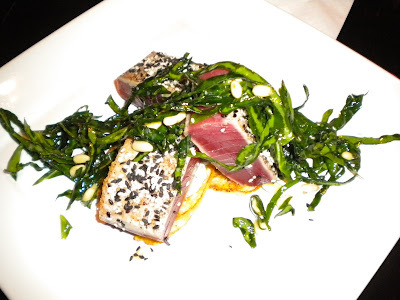 I tried the seared tuna, above, which was tasty. The portion did not contain much in the way of sides, however, as the sweet potato cakes it came with were quite small. Our group shared the mac and cheese croquettes with tomato chutney to start. The croquettes were delicious - who could not like fried mac and cheese? - but the chutney seemed to me an odd accompaniment. 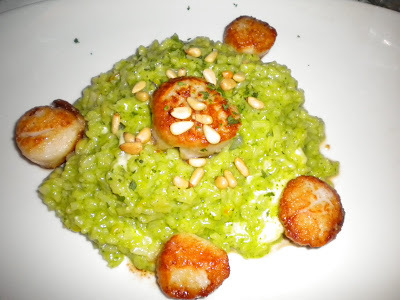 Others in my group ordered the scallops with risotto and the spinach salad, which I tried. Both were good but nothing special. 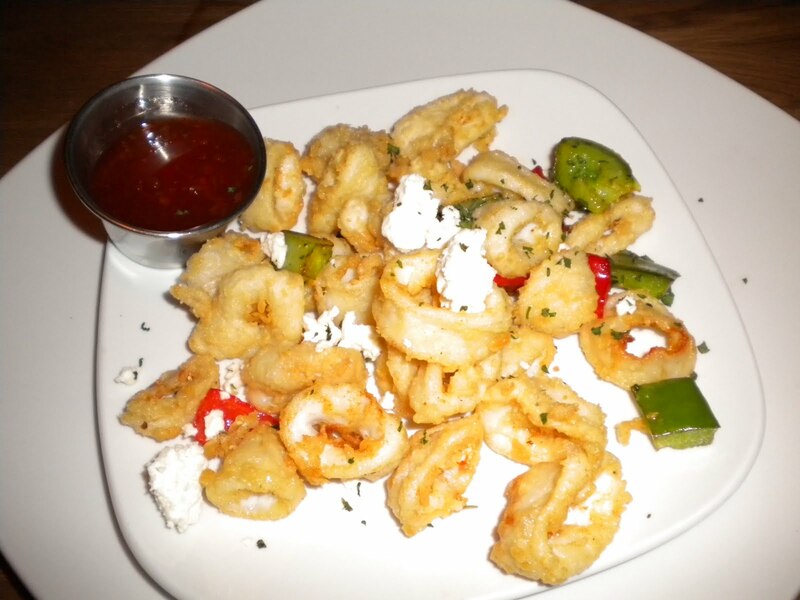 I'd like to try this place again as I continue to hear very good things from other critics. I am very happy to see another place open and succeed on Edgewood Ave. in the Old Fourth Ward neighborhood.